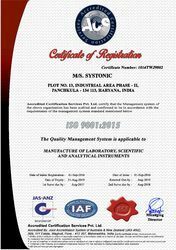 Established in the year 2009, Systonic Systems happens to be one of the pioneers in the fields of manufacturing, wholesaling, retailing, importing and exporting of Scientific and Laboratory Testing Measuring Instruments in the domestic as well as international market. Our full assortment of products includes Spectro Photo Meter, Soil Analysis Kit, TDS Meter, Conductivity Meter, Digital Potentiometer, and Turbidity Meter. 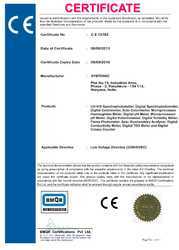 In addition, we also manufacture Digital Dissolved Oxygen Meter, Flame Photometer, Flame Photometer, Spectrophotometer, Digital PH Meter, conductivity meter, Double Beam UV VIS Spectrophotometer, Single Beam UV VIS Spectrophotometer, Digital Clinical Flame Photometer, Digital Spectrophotometer, Digital Colorimeter, HPLC System, Microprocessor Colorimeter, Microprocessor PH Meter, Digital Flame Photometer, Digital TDS Meter, Digital Fluorometer, Digital Viscometer, Photo Calorie Meter, Digital PH Meter, Auto Karl Fisher Titrimeter, and Digital Colony Meter. Systonic makes use of high end state of art development facilities and premium quality raw material to develop its product range. Our business practice comes with an idea of trust and lucidity that is cherished by our clients and helps us in maintaining the highest levels of quality in our work.Systonic is also exporting its products to large number of countries like England, Brazil, Syria, Iran, Nepal, Bangladesh, Saudi Arabia, Kenya Nigeria etc. Systonic technologies found its mark under the enlightening guidance of Mr. Sanjay Saini, who has helped us take a foothold in this industry. Our success story may not have been possible without the business insight of Mr. Saini. 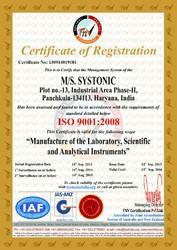 SYSTONIC is a high-tech enterprise committed to manufacture advanced, high quality products for scientific and lab use. 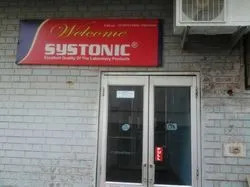 SYSTONIC offers high precision analytical, scientific, laboratory, clinical and pharmaceutical instruments for the industry, institutions and research organizations. All SYSTONIC like pH Measurement System, Spectrophotometer, Flame Photometer, Nephelometer, Fluorometers, Melting Point Apparatus, Water testing Kit, Soil testing Kit, Microscopes etc. are manufactured and designed as per the international norms and standards. These equipments add value to the application, where they are being used.Instruments are technically sound in properties with high durability. In addition to this, SYSTONIC also offers unmatched after sales services for our product for their long lasting functional life. Besides, timely dispatch within the 1 to 2 days is one attribute that has made us quite popular in the domestic as well as international market. There are more than enough reasons to believe why Systonic technologies is chosen by its client’s world over. Based on quality business practices, the Systonic technologies is a respected name due its outstanding client service and other parameters that make it the best. Systonic technology has a state of art design unit that is forever an asset to our quality production services. In addition, our artisans and marketing team is equally enhanced to serve their ends, so that you get a high quality product.